Performing in front of the camera is not always easy, especially if you are not so much of a natural in front of it. 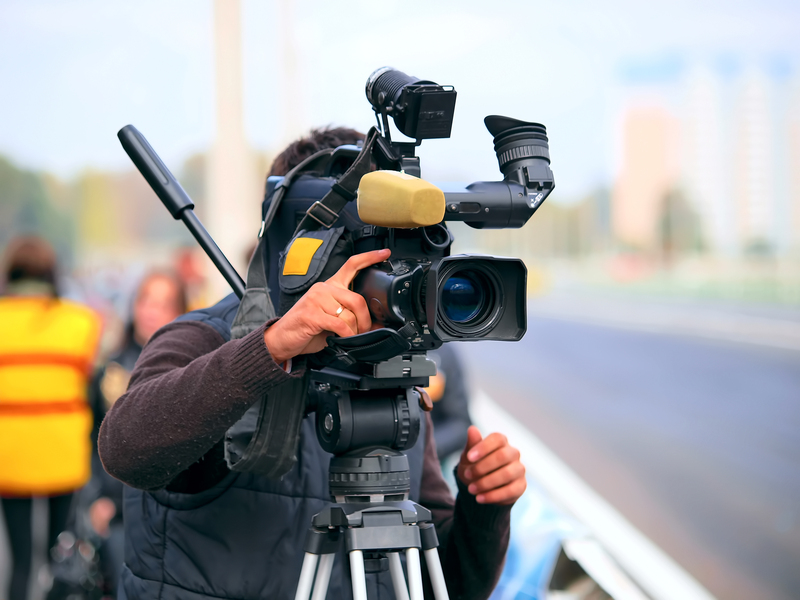 News anchors, hosts, and home shopping network sellers may have to face right into the camera and talk to the audience, but it is a different thing altogether if you’re an actor or a model. Unless you’re Deadpool or some type of fourth-wall-breaking character, you have to connect with your viewers without actually looking at them in the eye, which makes on-cam performances even more difficult. Don’t wait for rehearsals to come before you familiarize yourself with your scenes. Instead, try rehearsing in front of a mirror to help you get ready for the camera. For models, this is even more important, because a lot of times, you won’t know what happens until the day of the shoot, so rehearse your best angles and poses so that when the time comes that the photographer directs his lenses on you, you already know how to work it. When you practice in front of the mirror, it is important that you become aware of your body. For instance, do you have nervous ticks? Things like unnecessary hand movements, incessant throat clearing, knuckle cracking, and saying too many filler words like “um,” “uh,” and “like” too often are no-nos. Be aware of these ticks so that you can actively avoid them when the camera is pointed at your direction. Memorizing your script word-for-word could help, but it is also equally important that you can go with the flow. Sometimes, if you force yourself to say the script word-for-word, you will end up sounding too stiff. Going off-script is okay as long as you make sense overall. After all, do you know that some cool movie lines are ad-libbed? The heat from all the stage lights can dehydrate you, sometimes, without your knowing. Make sure that you have water near you at all times to avoid any movie mishaps. Besides, dehydration will not only make you feel light-headed, it will affect your voice as well. A parched throat could ruin what could have been a great take. In modeling as in acting, proper posture is necessary to attract attention. In a nutshell, keep your spine straight, shoulders back, and chin up. When speaking, be mindful of your flow of words. Most people speak faster when they are in front of the camera, so speak a little slower than you usually would—or what you think is slower than you actually do. Looking your best on camera is thanks mostly to your hair and makeup stylists (yes, even for males). However, you can make their jobs easier by taking proper care of yourself on the days that you have work. Among the most basic things you can do to look your best are the following: get a good night’s sleep, drink at least eight glasses of water to keep your skin looking healthy, and avoid basking in the sun in the days before you’re set to face the camera. Planning your script, schedule, logistics, as well as the things you have to bring during these instances will help you become more effective as a professional actor or model. The more organized you are, the less stressed you become about the days ahead. Punctuality and organization will always be appreciated if you are a model or an actor, so perfect this skill to get ahead. Finally, relax. Be yourself of the character you are embodying. Being a model or an actor will keep you hours on set, so don’t be too stiff on-scene. Instead, relax and enjoy your work. A lot of people will kill to have your job, so embrace it!